If you are planning to move out of your parents’ house or move from a dorm to your own apartment, there are few things to consider first. Living on your own is not all about freedom and enjoying making your own decisions. It is also about responsibilities, surviving without anyone’s help and getting used to an adult life. The first step is moving process. 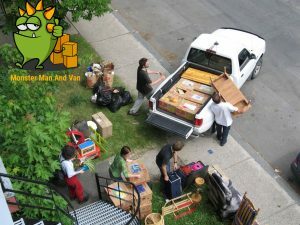 You will face a number of moving tasks, including hiring a professional man and van company in St. James’s, packing, deciding what to take with you, unpacking, etc. Now, let us take a closer and more careful look at each of them! Even if you are not a fan of cleaning around the house, you will just have to do it after you start living on your own. Create a cleaning schedule and stick to it. Make sure you clean your place regularly in order to avoid creating a mess that will reduce the quality of your life. Living on your own requires smart moves when it comes to money. You will have bills to pay, groceries to buy, and decide what amount you can spend on pleasure. You need to learn how to manage money. You can ask your parents for help when creating a monthly budget and how to prevent overspending. Additionally, saving money should be one of your goals as well. You need to have some basic cooking skills if you plan to live on your own. Eating out is expensive and will leave you broke. Therefore, you need to master basic recipes and eat healthy meals. Nowadays, there are many ways to learn how to cook. The Internet offers a vast of sites, platforms where you can find simple cooking recipes, tutorials and other useful cooking tips. Doing your laundry is another chore you will just have to learn. You need to learn basic laundry skills when planning moving out. You should know how a washing machine works, what temperature to use for certain pieces, what clothing items need to be hand-washed, etc. Additionally, you should learn to iron. Ask your mother for advice or someone else who has experience in doing laundry. Living on your own should be a goal of a successful young adult. That’s basically what life is all about. However, the transition process to being an adult is complicated and requires dedication, skills, effort and confidence. Hiring the best man and van company in Poplar is the best first step you can make. Having a successful removal will enable you to start your individual life enthusiastically.